Is the charter market prepared for the changing ways in which ultra-high-net-worth individuals are spending their money? If what we are being told about the changing philosophy of ultra-high-net-worth individuals (UHNWIs) is to be believed, do we have a charter market that is sufficiently prepared for an influx of young, ultra-contemporary, anti-ownership UHNWIs? Supposedly, tomorrow’s millionaires and billionaires, and to a lesser extent today’s, have a diminished desire to own things unnecessarily. Like generations before them, they are time-poor and cash-rich. Why then would they invest in buying a superyacht that they won’t have the time to use? Especially when one considers that, whether they are using the yacht or not, it continues to be a drain on their admittedly significant resources. Additionally, perhaps the superyachting experience is not the only experience they wish to enjoy; what about the time they wish to spend in a ski chalet or in the canopies of the Amazon? The world is their oyster, so why would they dedicate so much time and expense to a single pasttime? Yet, research suggests that it is this type of individual for whom the superyacht charter market becomes an increasingly enticing proposition. Great! More ultra-wealthy individuals choosing to engage with the superyacht industry. Well, not quite. It is no secret that the charter market is largely supported by owners who choose to charter out their vessels in order to offset some of the costs they incur from ownership. Therefore, a healthy charter market requires a buoyant new build market. For the charter market to remain at the top of its game, there needs to be a continuous flow of quality new vessels onto the market. But ask any pragmatic charter broker whether that’s the case, and they’ll admit there is a shortage of quality above 55m. If the hypothesis outlined above is to be believed, tomorrow’s ultra-wealthy are less inclined to own superyachts, thus there are less owners who need to offset costs and, therefore, there are fewer contemporary vessels entering the charter market. Will we find ourselves in a situation where demand for the very best charter vessels grows and our ability to meet this demand diminishes? Not necessarily. 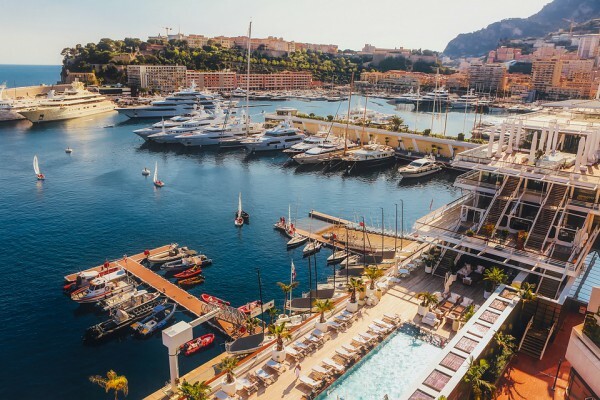 With the majority of superyachts over 500gt being built to a commercial standard, there is a brilliant opportunity for the charter market to increase its engagement with owners and bring more quality vessels onto the market. Equally, the emergence of new fractional and membership models may provide the antidote for UHNWIs that require the flexibility that charter can’t provide, without the financial headache of ownership.